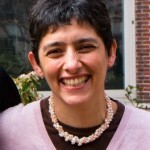 Gilma Mantilla is a medical doctor and epidemiologist with over 25 years of public health experience on designing and implementing public health policy, health promotion and disease control programs and disease surveillance and control systems at international, national and local levels. In the last 12 years with extensive engagement in policy processes re the development of effective demand for climate information including the implementation of innovative tools and protocols for creation, integration and dissemination of knowledge and information related with climate and public health. She also contributes to applied research to produce risk profiles of selected climate-sensitive diseases by country and region and development of partnerships to assess and verify climate and health information. Education and training have been key components of Gilma’s work; she has organized training courses, developed curriculum and trained international public health staff in public health management and public health policy. Lately she has organized training courses and developed curriculum on Climate Information for Public Health local and internationally. Mantilla’s primary areas of research include development and implementation of innovative tools and protocols for creation, integration and dissemination of knowledge and information related with climate and public health.